It seems normal that they yodel in France: they have high mountains, the Alps, and the same need to communicate between the valleys. It’s not so developped as in Switzerland or Austria but you can find some yodels there. But this is not the object of this post. It’s the “tyrolienne”, the french name for “yodel”, and as it says, with origins in Tyrol. This kind of song was very popular in the 19th and the beginning of the 20th century in the cabarets and café concerts, or the vaudeville circuit. It all began with Rossini, the classical composer who introduced yodels in his compositions in the 1830’s (more about that later). Different artists like Thérésa or Suzanne Lagier were very successful in theaters with tyroliennes but there are no recordings. We have to wait for the beginning of the 20th century to find some, from various singers. Madame Rollini had a big discography but is almost forgotten today. Nobody knows when she was born or even her first name (Jeanne ?, Louise ?, Z. ?). On the picture taken in 1903 from the catalogue “répertoire français” from Pathé, she must be almost 50 years old. 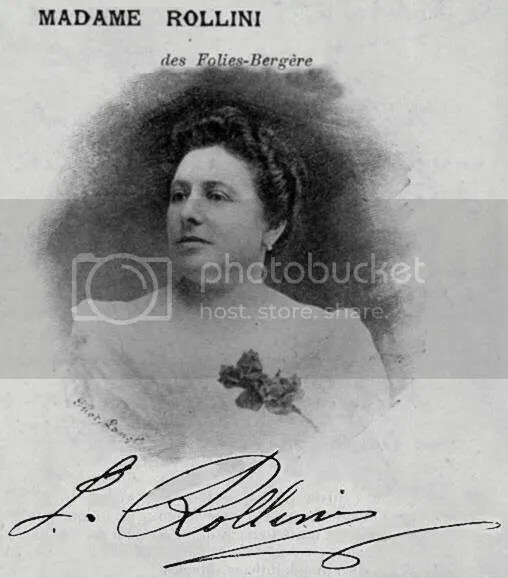 She began recording tyroliennes and other songs in 1896 for Pathé but also for Gramophone, Zonophone, Odéon, Eden-Favorite… and was performing at the Folies Bergère in Paris. She had a very clear voice and could sing beautiful yodels. I found most of the info here and here (with other recordings) and the songs come from Les 50 plus belles tyroliennes. 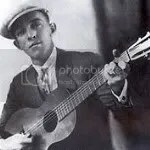 By the end of spring 1928, Jimmie Rodgers was beginning to be famous: his first big hit, Blue Yodel was heard all over the country on the radio and in the record shops. With the money he earned from this succes, he bought a new wardrobe and a blue Buick. Having recorded all his repertoire in the first two sessions, he asked his sister-in-law Elsie McWilliams to help him compose new songs for the sessions of June 12, as he did for the previous one. She came to Washington and in one week, they had produced the nine songs that would be recorded on that date. No Blue Yodel here, but all these songs contain yodels. They are in the tradition of the vaudeville of the turn of the century, full of sentiments and melancholy. All are sung by Jimmie Rodgers who played his own guitar. You are currently browsing the Mademoiselle Montana's Yodel Heaven blog archives for July, 2009.